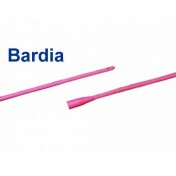 Bardia Latex Foley Catheters, manufactured by Bard, are rigid latex catheters that are coated in a silicone elastic polymer that serves as a hydrophobic material that rejects moisture, reducing irritation to the urethra. 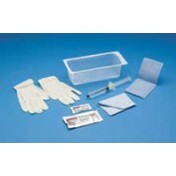 Latex Foley Catheters are made with 2 way design and opposing eyes for drainage. Bardia coated latex is a rigid latex material that is made with Bard latex standards. 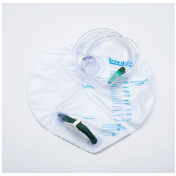 Latex Foley Catheters are engineered to cause less irritation than other latex products. 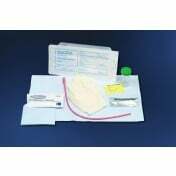 Indwelling Urinary Catheters are sterile and designed for single use. These Silicone Elastomer Catheters come in an easy to use, peel apart packaging, so that the catheter stays sterile until the package is opened. Rigid latex is easier to insert. Easy to use, peel open packaging. Material: silicone elastomer coated latex. Standard length on these catheters is 16 inches. These catheters work great for me. I have to put one in to leave home each time. The price is affordable and delivery is often early. All my questions get answered quickly and professionally. I have never had any problems with these catheters. They are individually packaged and sterile. This is a great catheter and does the exact same job as that of the expensive catheters. Can change it multiple times per month and still save money. Although there were minor delays with the last order,I still like your company,,, good prices,,, will remain a customer. Great price, cheaper than other sites and even local store. Unfortunately prescription is required for this company to buy the exact same thing I get locally and at other sites without a prescription. What a shame. 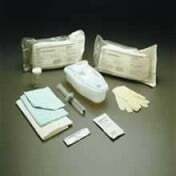 The right catheters at the right price. Excellent customer service for any questions. Faster than expected delivery. I am a repeat customer and will continue to shop here for many of my medical needs. I was using the Coloplast foley that was discontined. This is a good replacement. Easy to insert, soft and no problems. This is up to our hospital's standard so we always use this instead of other brands. We also have a long standing business relationship with Vitality Medical and almost all of our supplies are ordered through you. We love that we can order the usual many items or get items in retail without any issues at all. I know that we will use your website as long as you're that great.